AUGUST 1, 2018- LAGOS. 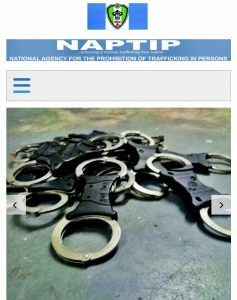 Well done to NAPTIP, Nigeria’s anti-trafficking agency, for launching the “NAPTIP iReport App,” an application to report and fight human trafficking in Nigeria (available on Google Play for Android). The application allows users to submit reports or complaints and includes answers to frequently asked questions concerning human trafficking in Nigeria. It is certainly a welcome development, one which we hope will contribute to the fight in eradicating human trafficking and slavery in Nigeria. If you “see something,” you can now lodge a complaint to “say something!” Well done, NAPTIP!